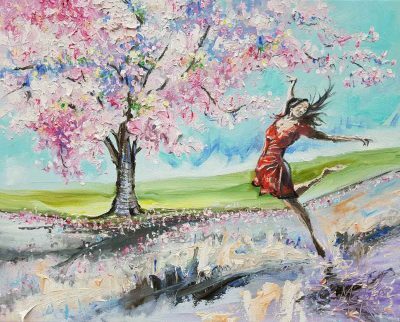 Artist Jim McKee makes a welcome return to the Kenny Gallery after a break of a decade, with a solo show entitled and celebrating The Dance of the Cherry Trees. A true renaissance man from Co. Tyrone, McKee paints distinctive, expressive, and most attractive works. The exhibition will be officially opened by musician John Spillane, who may well sing his own “Dance of the Cherry Tree”!